We, who work in formal education systems – teachers, faculty, administrators, and so on – tend to have an overly serious view of learning. Sometimes we seem to think that formal learning experiences are the only real learning experiences, and that learning only happens when there is a teacher to document it. Formal learning – the learning that happens in educational systems – is learning that is measured with standards and learning objectives to be met. For formal learning it is really important what students learn, and that students in some form reproduce the material provided for them. For informal learning to happen it is more important that students know how to learn – so that they can learn from any kind of interactions, where ever they happen to be. We all have had natural born learners in our classrooms. These are students who seem to be learning easily, who have a good knowledge base for their age, and who may have opposite views and often they are not shy to express their opinions, either. I think these are students who find it easy to combine information gained from different sources. They find common themes and happily put together things they learn from school, movies, comics, games, virtually anywhere, and then use it in different contexts. This is what informal learning is about: producing knowledge, understanding and meaning! Informal learning is an ongoing process, and in the contemporary world we must reform the educational thinking to meet the requirements of this century, and to prepare our students for living in the knowledge society, where they will have to choose between different sources and types of information. This is also a change from teacher-centered to student-centered education. The biggest difference is that in the past the teacher or the professor was the source of information – the true expert who had the official truth about the topic – while today the information is freely available for everyone who has access to the internet. 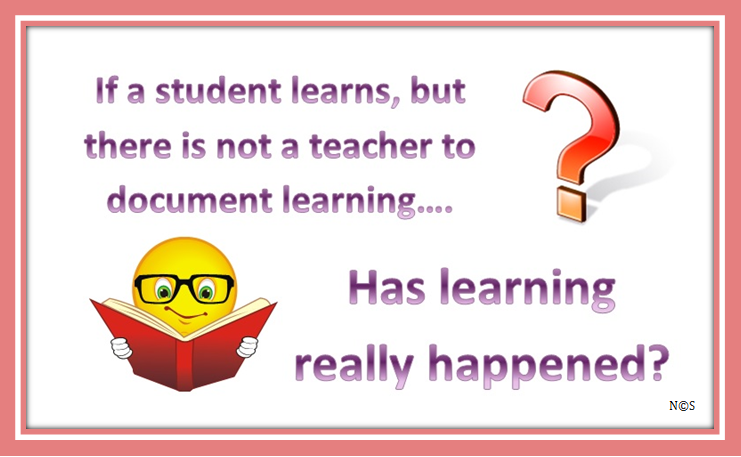 But, there is also lots of misinformation out there, and figuring out what information is real and useful is often the biggest problem for students, who don’t have the same knowledge structure we educators do. What has changed since the early days of public education is the way we view knowledge. What used to be objective, unchanging, and transferable is now subjective, context dependent and individually constructed. The way we perceive knowledge changes everything in formal education. What we really need to improve education worldwide is more open source information. Wikipedia is a great first step in searching information, and students shouldn’t be discouraged to use it. Nor should we discredit the sources our students use, but ask them to show the merit of the author or proof of the claim. Combining informal learning with the formal learning that happens in the classrooms improves the quality of education because blind obedience stifles imagination. Learning as a process can be seen as interactions between the student, content and environment. In formal settings teachers and faculty should provide guidance and introduce the main concepts and principles of the content, but leave opportunities for students to fill in some of the details. Designing the instruction in the way that allows informal learning to blend with formal learning helps students to learn how to learn, which increases meaningfulness and sparks curiosity – and these two important parts of engagement well met will also help students to take a deep leaning approach, which leads to life-long learning. This is what our students need to thrive in their future! The true blended learning approach is not about technology and getting educators all excited about software and hardware, it is about blending formal and informal learning and upgrading the mindware.